GitHub - ericwhyne/Velociraptor: Velociraptor means "swift grab" and this software is a parallel tool that uses your AWS EC2 account to swiftly fetch lots of web content. Velociraptor means "swift grab" and this software is a parallel tool that uses your AWS EC2 account to swiftly fetch lots of web content. Want to be notified of new releases in ericwhyne/Velociraptor? Velociraptor takes a list of urls and launches parallel AWS EC2 instances which then run wget in parallel to fetch the html and images into Web Archive .warc files and store them in an S3 Bucket. Parallelism is managed by GNU Parallel and AWS is managed by AWS CLI. This project is not associated with AWS and may use other cloud service providers in the future. You'll need an Amazon AWS account to us this software for the moment. Velociraptor uses one configuration file. Modify example.cfg as you complete the following steps and save it with a descriptive name for your job. Go to the AWS S3 interface and create a bucket. This is where your results will be sent to. Fix the following two options in the config file with the details of your bucket. To install and setup AWS CLI tools, run setup.sh. It will ask you for your AWS Keys. 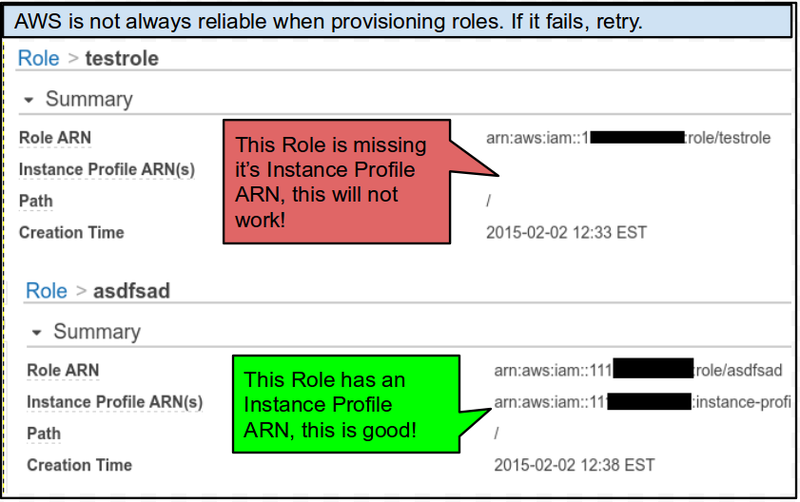 Use Keys that can at least launch EC2 Instances and assign IAM roles to them. You can find an example minimum policy in examples/minimum-aws-group-policy.txt. Now you're ready to run Velociraptor. It takes one argument which is your configuration file. Watch the nodes run and terminate themselves in your AWS EC2 Console. As they run and die you'll find the results in your S3 bucket. Make sure they all die, otherwise you'll keep paying for them after the scrape is done. You can view, manipulate, and download the contents of your bucket using the AWS CLI tools. This project is currently alpha and will probably continue to change quickly for a while. If you plan on seriously using this, please contact me so we can coordinate a stable branch. In some places the program uses base64 encoding of the url as a filename. The recommendations in RFC 3548 were adhered to in order to make those encodings safe to store on a Linux filesystem. Basically you just replace / character with the underscore _ and the + character with the minus - character. If you want to decode the filenames to the urls, use tools that adhere to this RFC or do the simple transform on your own prior to decoding. Copyright (c) 2015, Eric Whyne All rights reserved. THIS SOFTWARE IS PROVIDED BY THE COPYRIGHT HOLDERS AND CONTRIBUTORS "AS IS" AND ANY EXPRESS OR IMPLIED WARRANTIES, INCLUDING, BUT NOT LIMITED TO, THE IMPLIED WARRANTIES OF MERCHANTABILITY AND FITNESS FOR A PARTICULAR PURPOSE ARE DISCLAIMED. IN NO EVENT SHALL THE COPYRIGHT OWNER OR CONTRIBUTORS BE LIABLE FOR ANY DIRECT, INDIRECT, INCIDENTAL, SPECIAL, EXEMPLARY, OR CONSEQUENTIAL DAMAGES (INCLUDING, BUT NOT LIMITED TO, PROCUREMENT OF SUBSTITUTE GOODS OR SERVICES; LOSS OF USE, DATA, OR PROFITS; OR BUSINESS INTERRUPTION) HOWEVER CAUSED AND ON ANY THEORY OF LIABILITY, WHETHER IN CONTRACT, STRICT LIABILITY, OR TORT (INCLUDING NEGLIGENCE OR OTHERWISE) ARISING IN ANY WAY OUT OF THE USE OF THIS SOFTWARE, EVEN IF ADVISED OF THE POSSIBILITY OF SUCH DAMAGE.